Online Armor Free is a complementary version of our powerful windows firewall. 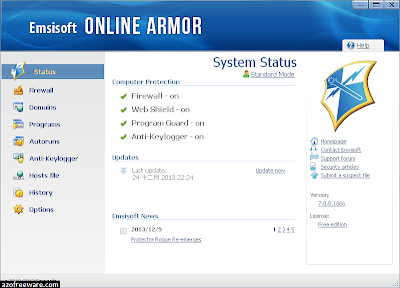 Built on the same technology as Online Armor, the free version offers a basic firewall at no cost. There are no advertisements, no time limitations and no nag screens!